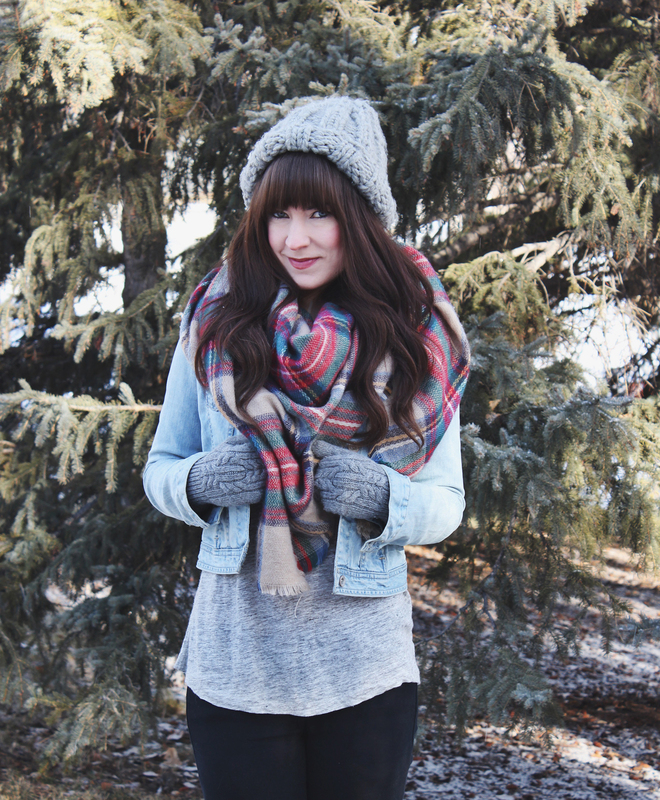 It can get pretty chilly here in Calgary during the winter, so keeping a comfortable temperature sometimes requires a lot of layering and bundling. Owning as many warm and cozy items as possible is definitely a must. 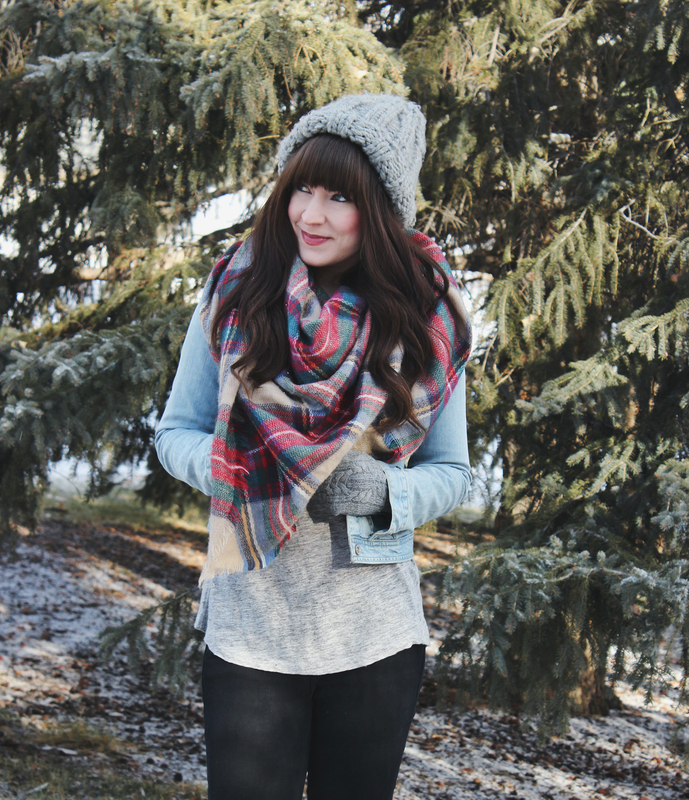 For example, this plaid blanket scarf. It’s big enough to wrap around a few times and it’s really soft so it’s great to wear on a cold winter day. I’ve also got some grey wooly mittens and my favourite wool hat to keep me warm! Love this outfit! Especially the scarf. So cute!